L. Aukland, P. Moura Costa and S. Brown. 2003. 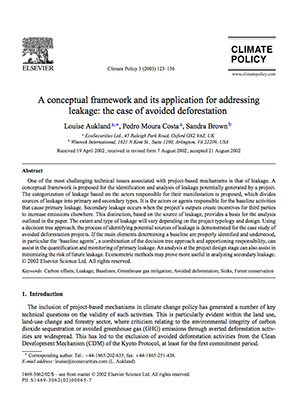 A Conceptual Framework and its Application for Addressing Leakage on Avoided Deforestation Projects. Climate Policy, in press.